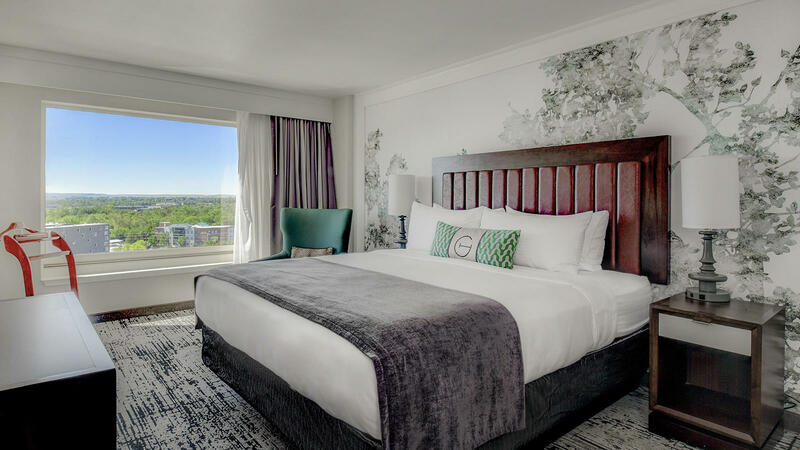 Beautifully redesigned and thoughtfully appointed, the guest rooms at The Grove Hotel are equally suited for working or relaxing. 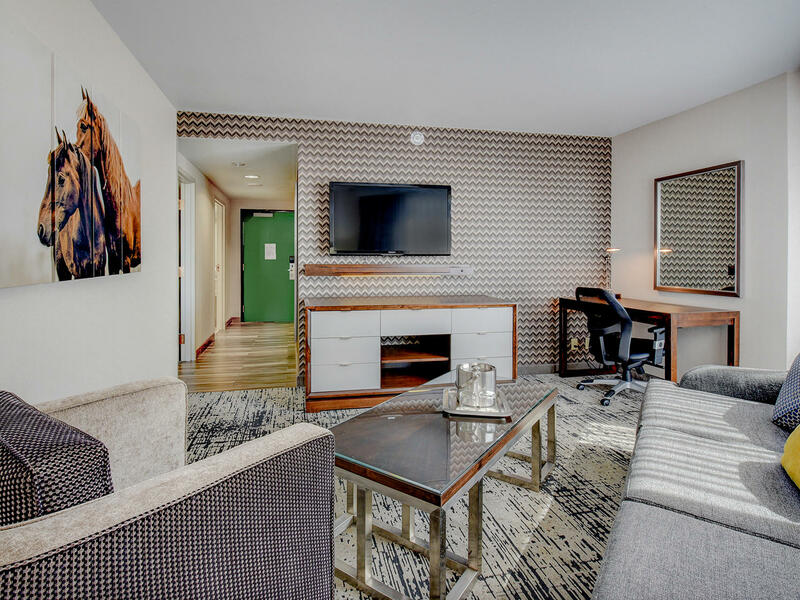 All rooms are airy, bright and comfortable, with sleek lines and open living areas filled with natural light. 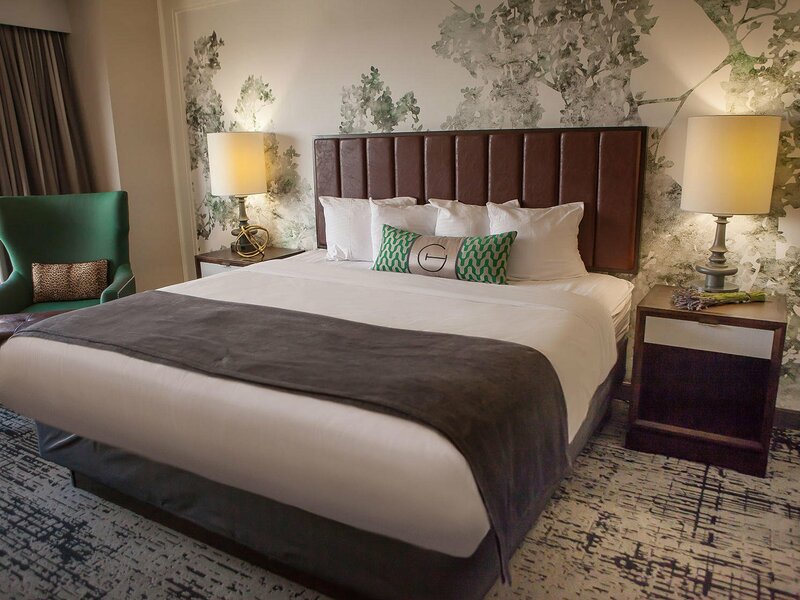 Crisp white and green color palettes lend a fresh and modern ambiance. 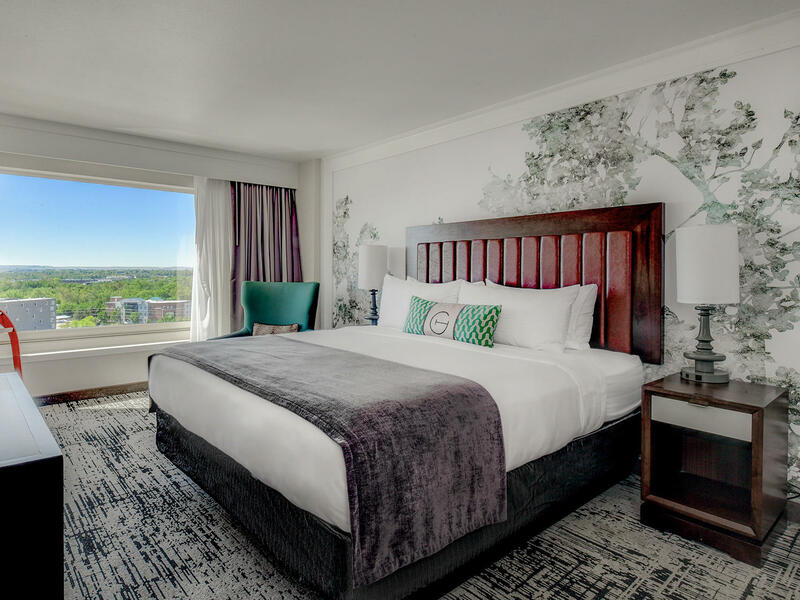 All accommodations at The Grove Hotel offer unrivaled views of the Boise skyline. 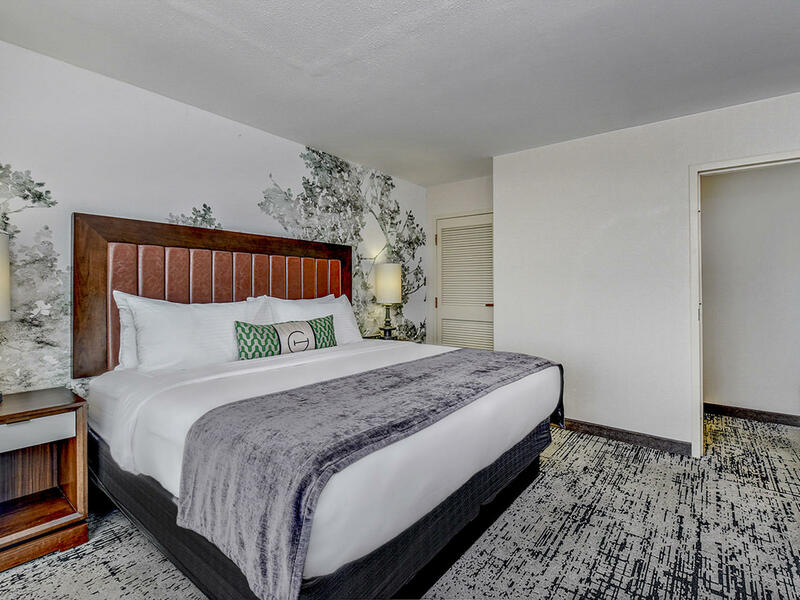 Surrounded by distinguished foothills, the views also include glimpses of the Grove Plaza, Boise Train Depot, Table Rock, and the Boise River. 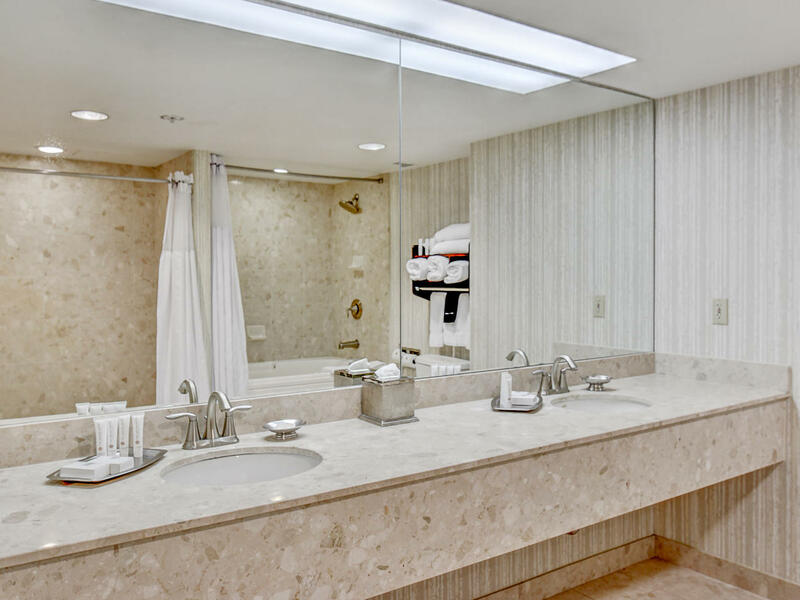 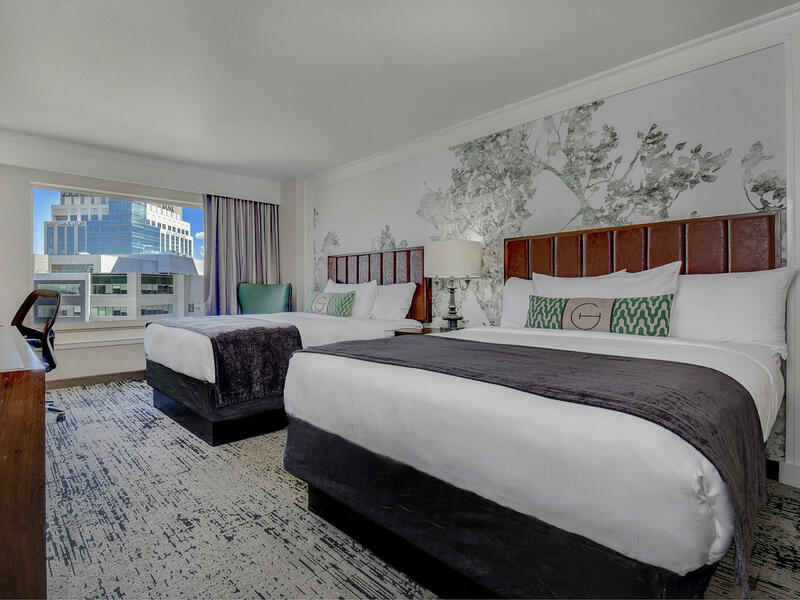 To learn more about The Grove Hotel's commitment to accessibility, visit our accessibility page, or view our ADA room types: ADA King or ADA King with Roll in Shower. 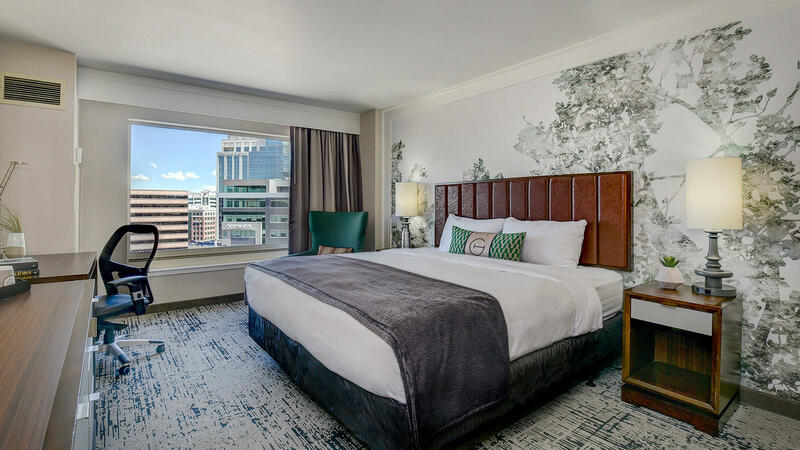 Merging traditional elegance with contemporary styling, our 330-square foot standard room accommodations feature a 42-inch flat screen TV, a well-lit workstation, luxurious robes, a refrigerator, Starbucks® coffee, custom mural artwork, marble bathrooms with designer bath amenities, eco-friendly bath products, and plenty of outlets and USB ports. 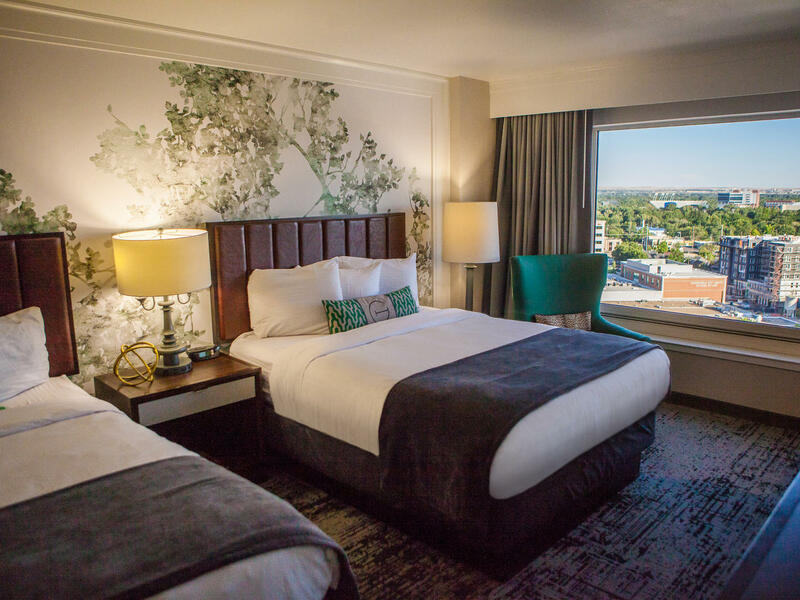 Your choice of views includes rooms overlooking downtown Boise and the foothills or the Boise river valley. 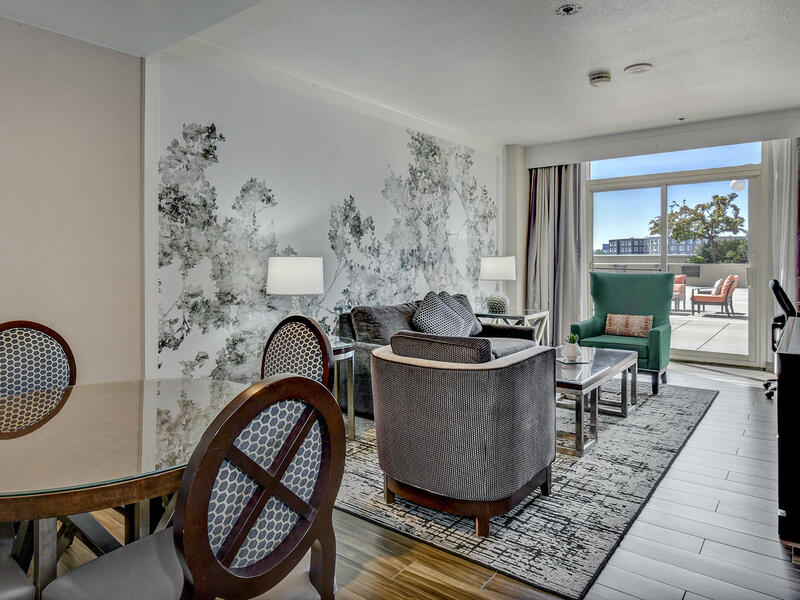 These expansive two-room corner suites offer a separate parlor from the bedroom. 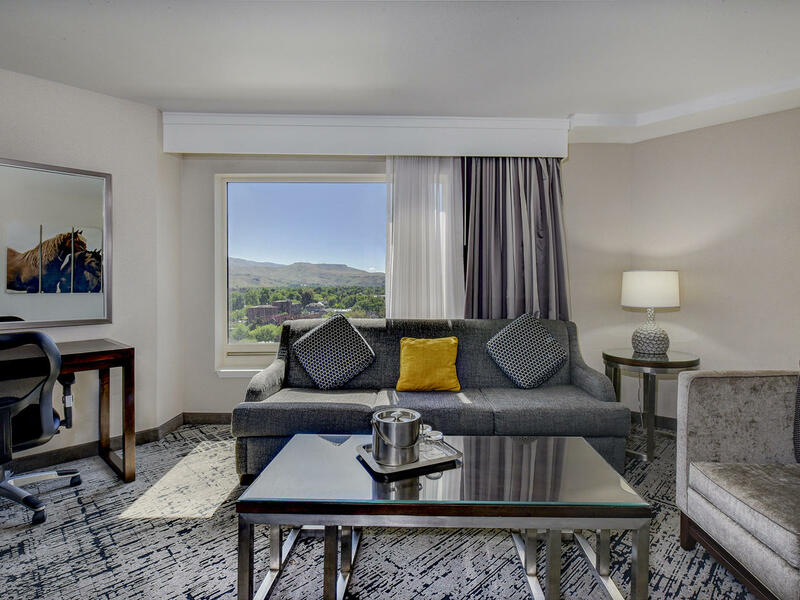 This suite is located on the corner of each floor, allowing a view of the Boise foothills from the parlor and a view of the valley from the bedroom. 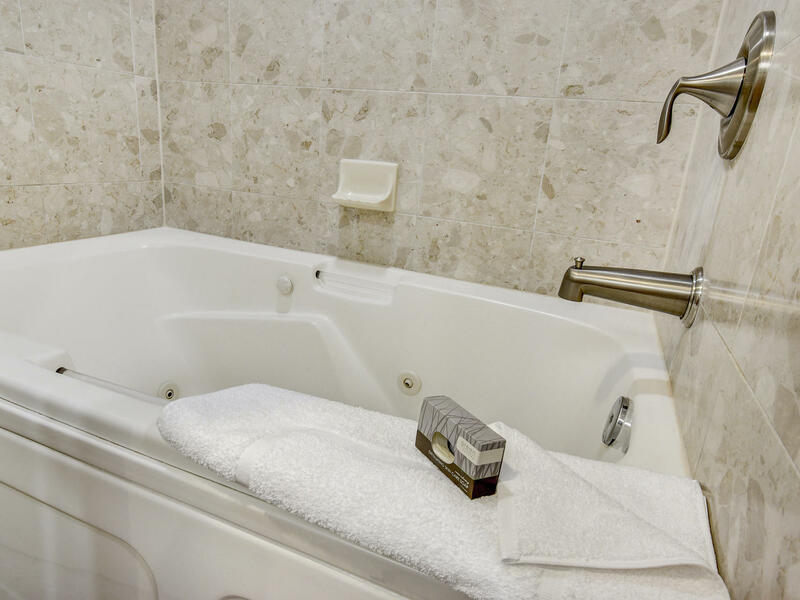 The bedroom is equipped with one king-sized bed while the parlor has a sofa sleeper and an overstuffed chair. 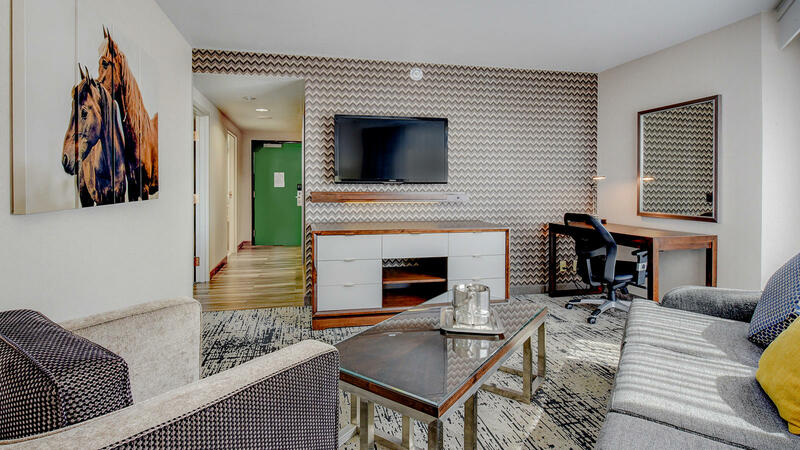 This room type is 350-400 square feet. 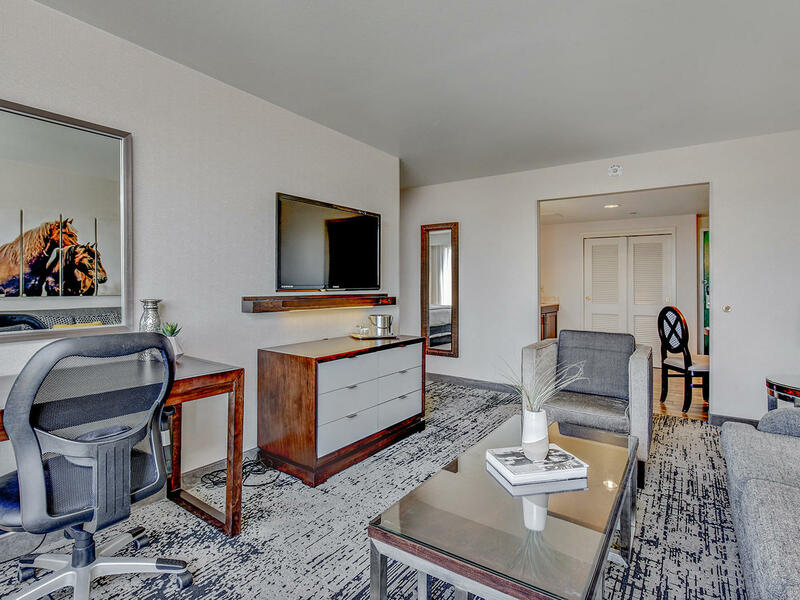 With views of both the Boise Foothills and the valley, these premium expansive corner suites offers a separate parlor from the bedroom and features a jetted tub. 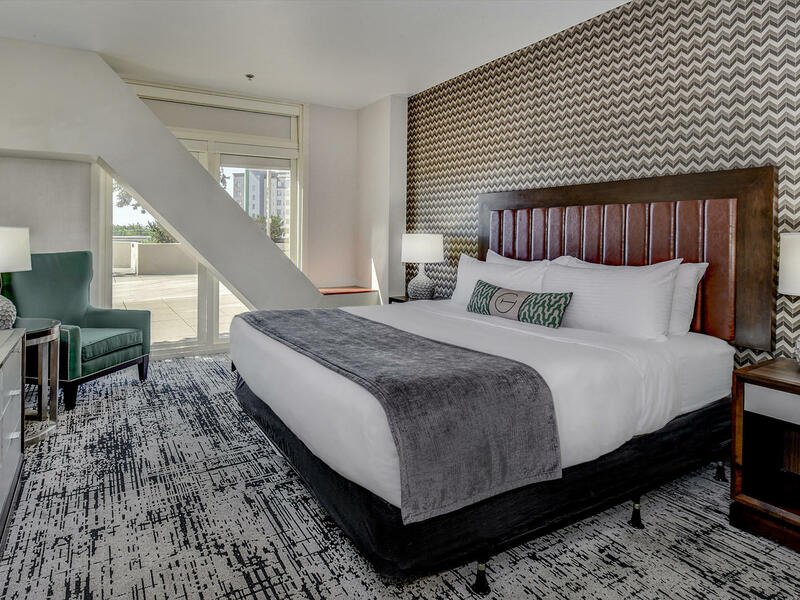 Located on higher floors, the suite bedroom is equipped with one king-sized bed while the parlor has a sofa sleeper and an overstuffed chair. 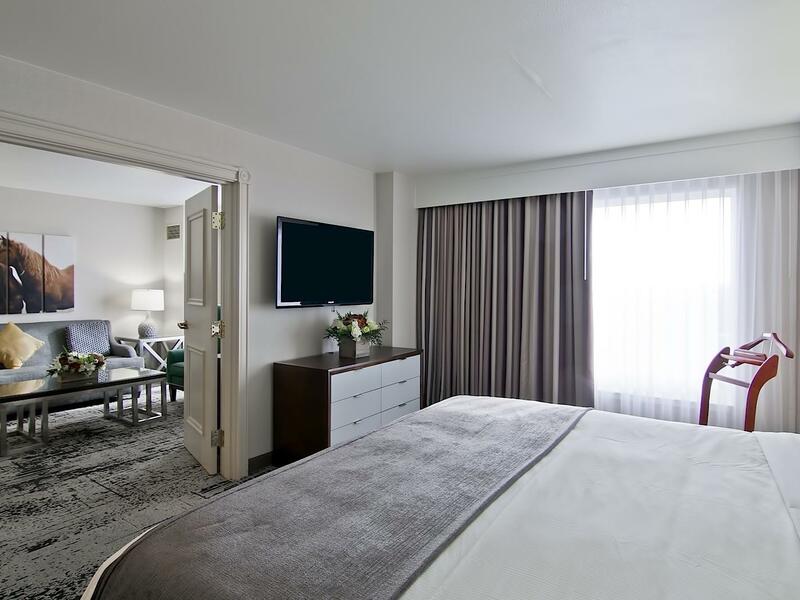 This room type is 350-400 square feet. 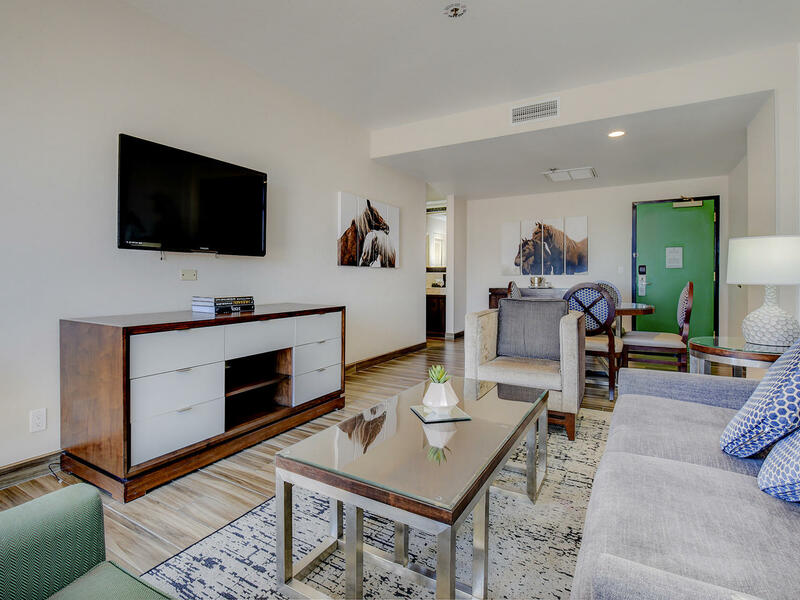 These two-room suites include a separate parlor from the private bedroom; each room's space is between 400-500 square feet and both offer breathtaking 13th-floor views of Table Rock, the entire Boise valley and the base of the foothills from the parlor. 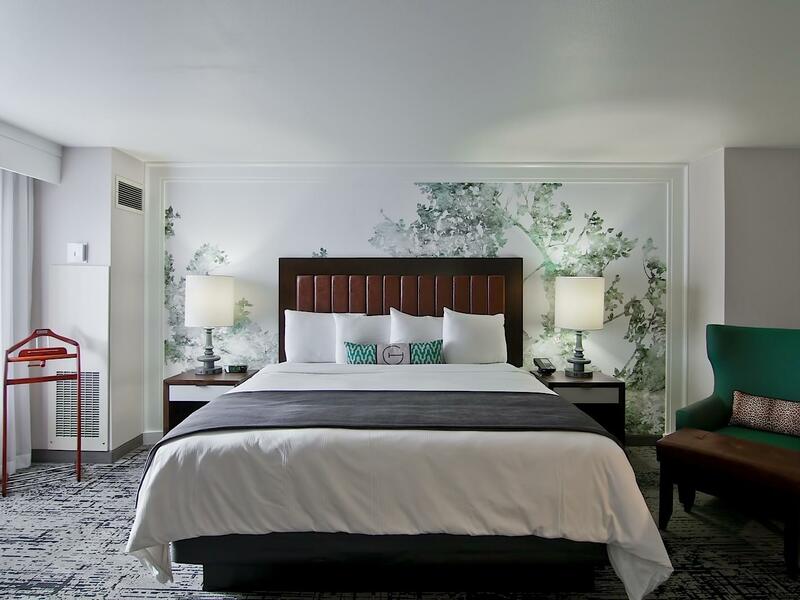 The bedroom is equipped with one king bed, while the parlor has a sofa sleeper and two overstuffed chairs. 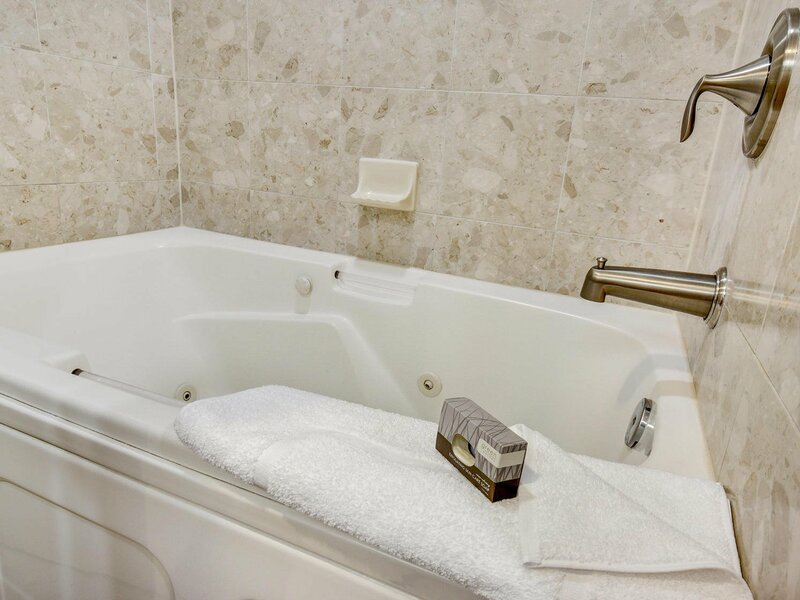 This suite contains all of the amenities found in our deluxe rooms, as well as two 46" televisions, and a luxurious oversized-jetted bathtub. 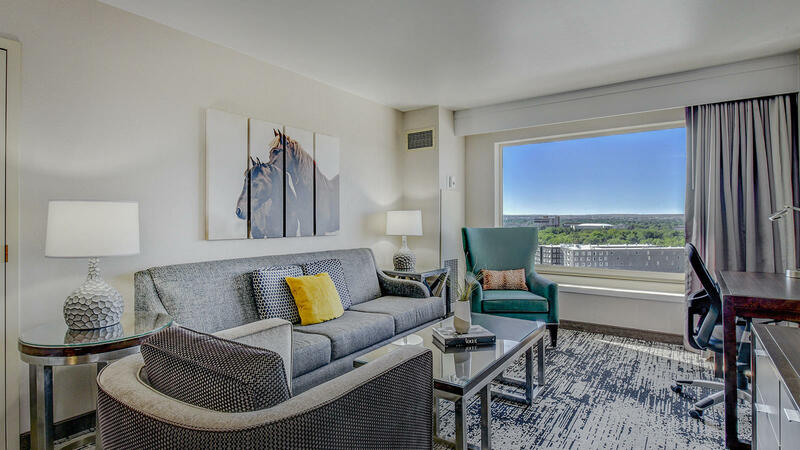 Located on the 4th floor of the hotel, these 500-600 square foot suites include a sliding glass door leading to the hotel’s renowned open terrace. 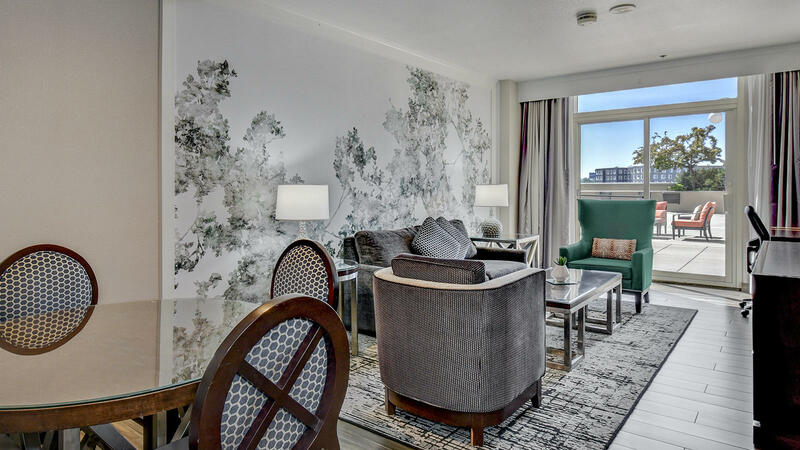 This suite has a separate parlor from the bedroom plus a dining room table that seats four, as well as a bar area. 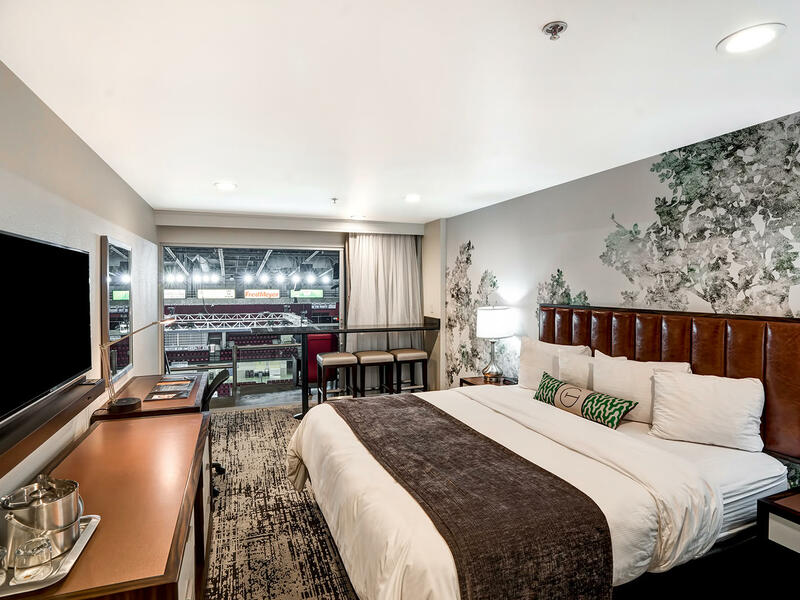 This suite also includes two 46" televisions. 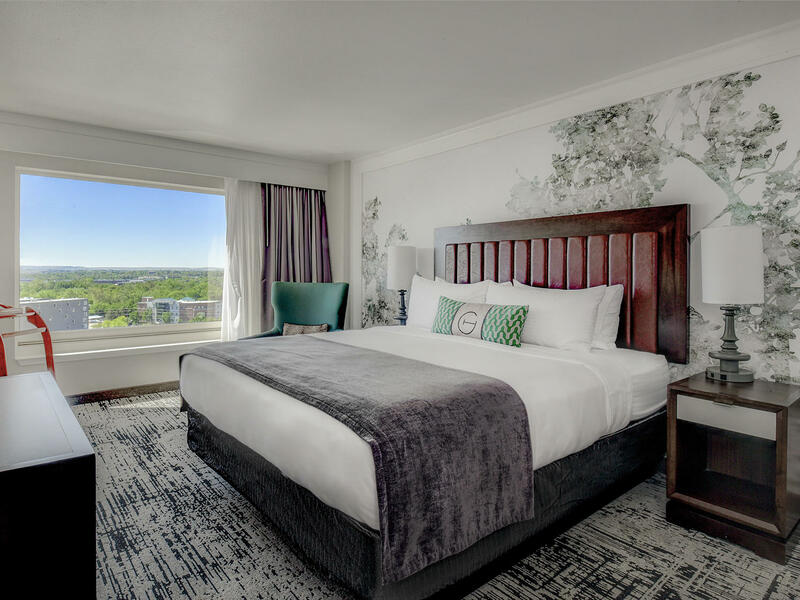 From the public terrace, guests can enjoy a tranquil view overlooking Capitol Boulevard and Front Street. 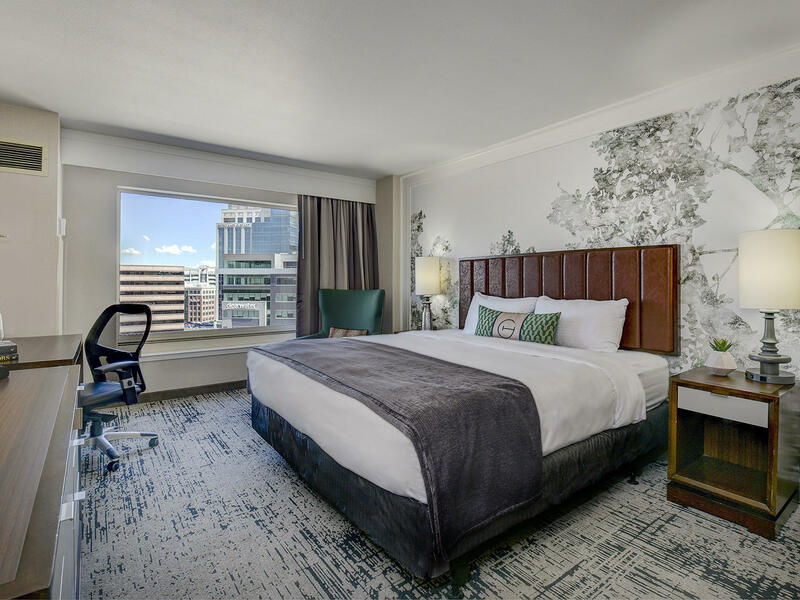 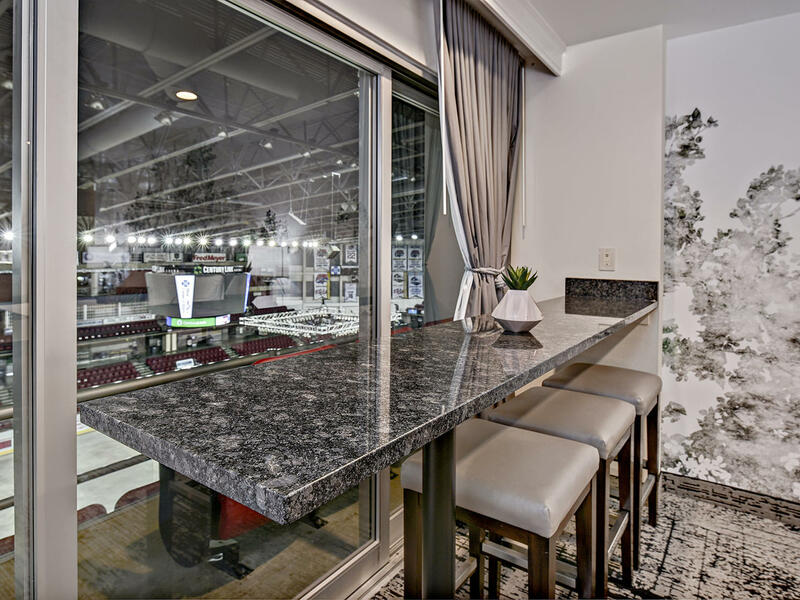 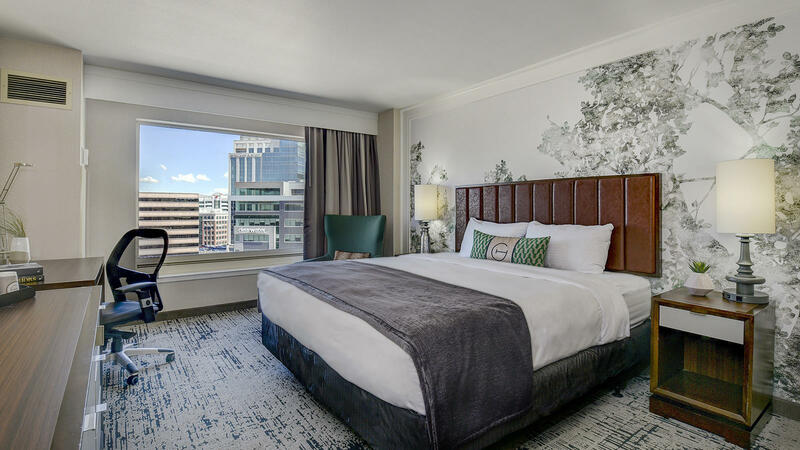 Located on the 3rd floor of the hotel, overlooking Boise’s CenturyLink Arena, the Arena King Room and Arena King Suite offer an exciting opportunity to experience the indoor views of the attached 5,400 seat hockey & events arena from the comfort of your guest room. 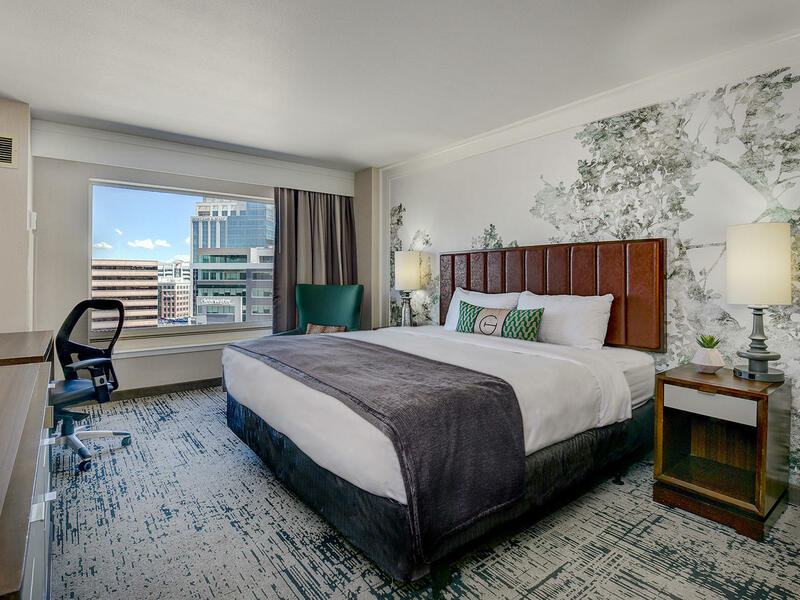 The Arena King Room offers one king size bed, while the Arena King Suite offers both a king size bed, as well as the attached parlor area featuring a sofa sleeper and overstuffed chair. 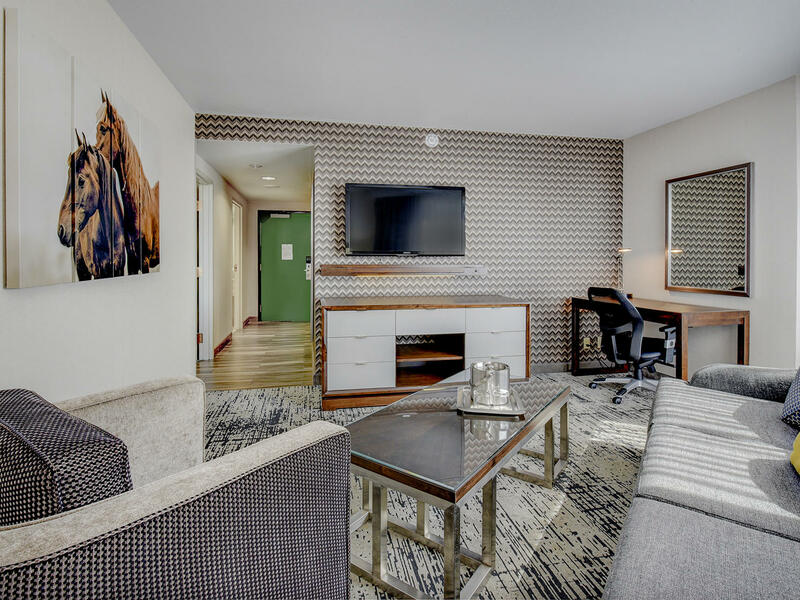 Both room types including all of the amenities found in our deluxe rooms, as well as a 46” television, and sliding glass door with balcony seating overlooking the Arena. 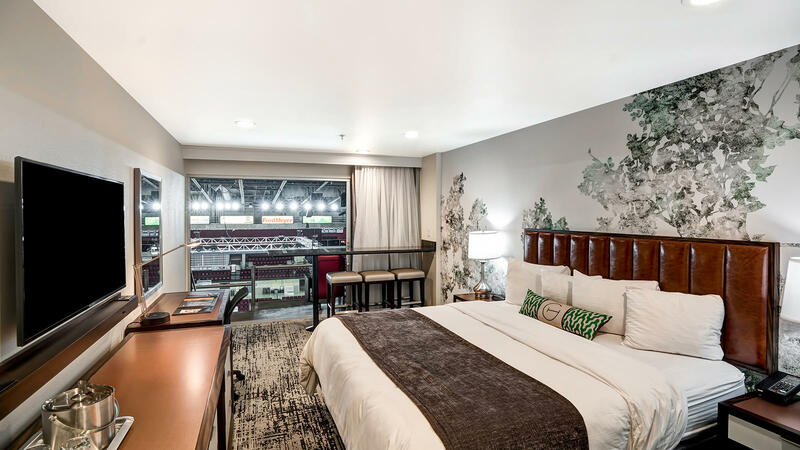 Arena Rooms are not available for rental as overnight hotel guest rooms during Idaho Steelheads home games or other concerts/events taking place inside CenturyLink Arena. 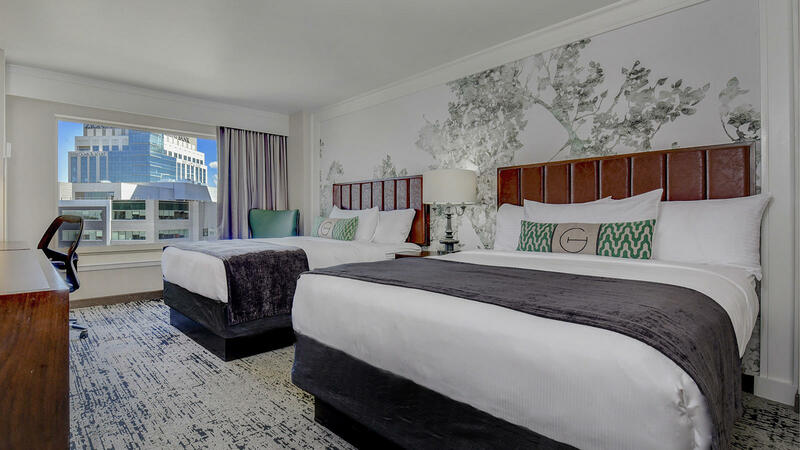 Merging traditional elegance with contemporary styling, our standard room accommodations feature a 42-inch flat screen TV, a well-lit workstation, luxurious robes, a refrigerator, Starbucks® coffee, custom mural artwork, marble bathrooms with designer bath amenities, eco-friendly bath products, and plenty of outlets and USB ports. 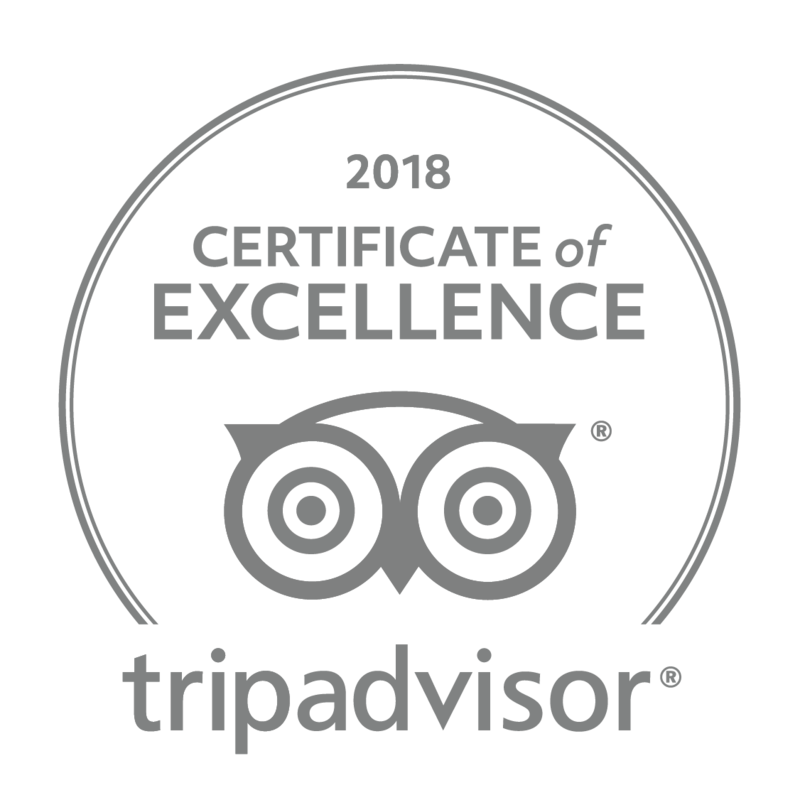 To learn more about The Grove Hotel's commitment to accessibility, click here. 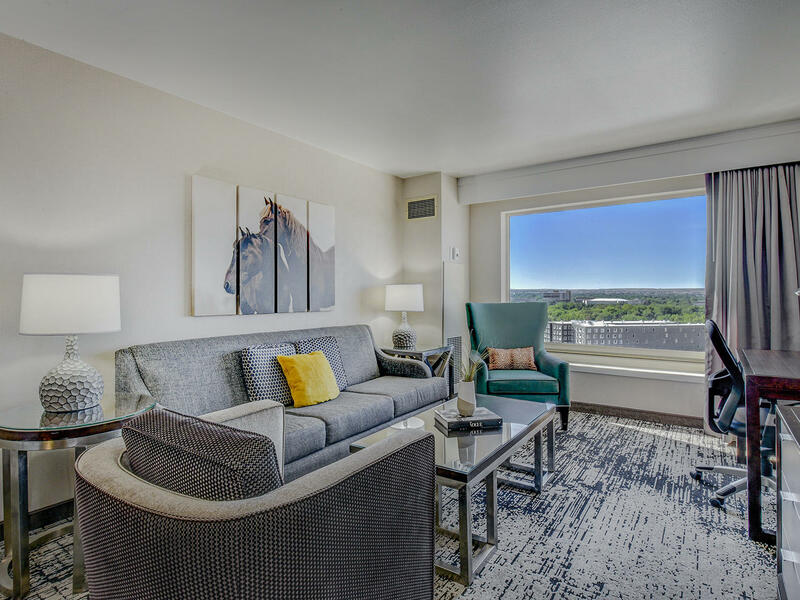 Your choice of views includes rooms overlooking downtown Boise and the foothills or the Boise River Valley. 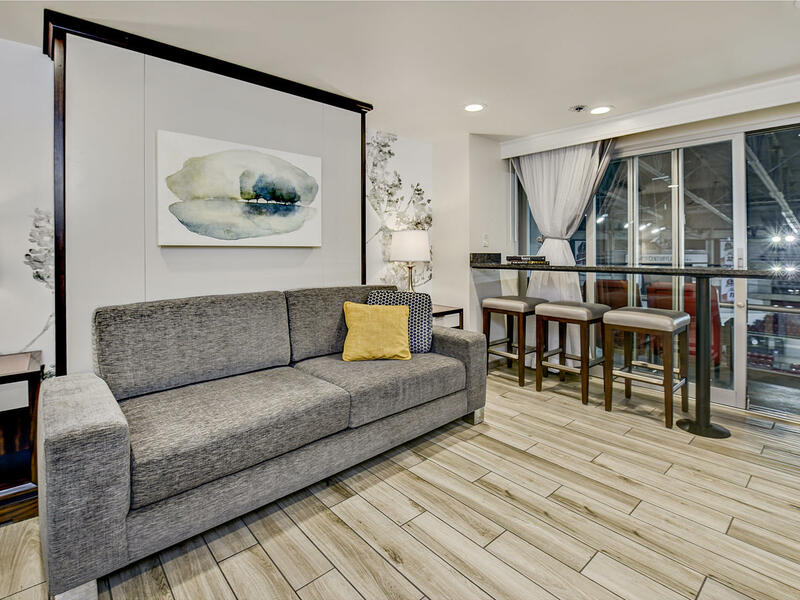 This room type is 300-330 square feet.